We are closely monitoring the weather situation with hurricane Irma and will keep you notified of any information as we are able. Please bear in mind that the information is only as accurate as we know at the time. Things can change quickly, so always go with what The Weather Channel and news outlets are reporting. 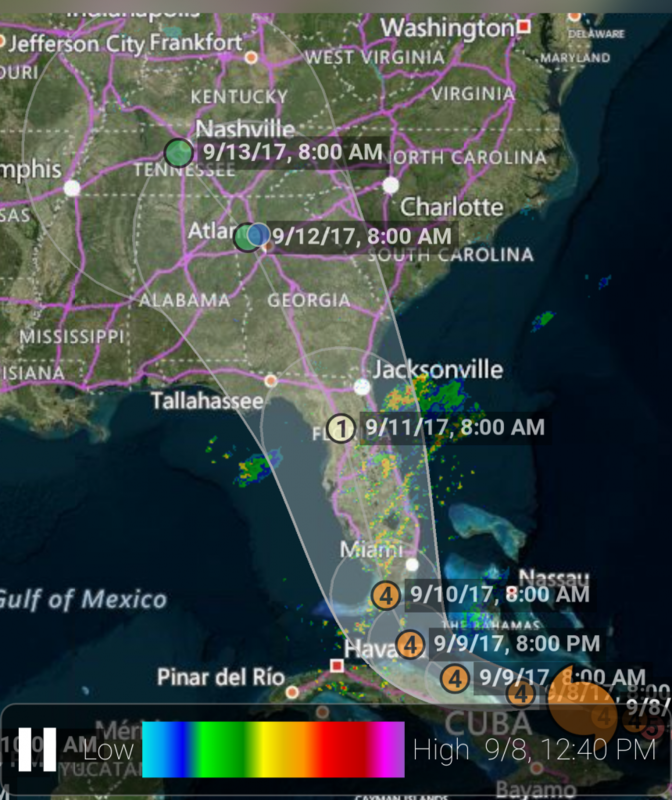 AT THIS TIME, the current path has the storm potentially over us as early as 8:00 AM Monday morning as a category 1 hurricane. While it will be centered over Ocala, FL at that time, because of it’s size it is fairly likely that we will be getting winds and rain from the top end of the perimeter of the storm. By 8:00 AM Tuesday morning the center of the storm, downgraded to a tropical storm, will be over Rockmart, about 20 miles from here. This storm could range anywhere from just windy and rainy, to extreme winds and flooding and the usual tornado watches and warnings. There is no way to know what we should expect at this time, but we will certainly be preparing for the worst. The main concern being flooding and power outages. Should Cobb County Schools close, we will be closed also. In the event it is dangerous for you to travel or you lose power, absences will be excused. We will continue to monitor the situation and will update you if anything changes. We will also post notifications to these updates on Facebook, Twitter, and Instagram.